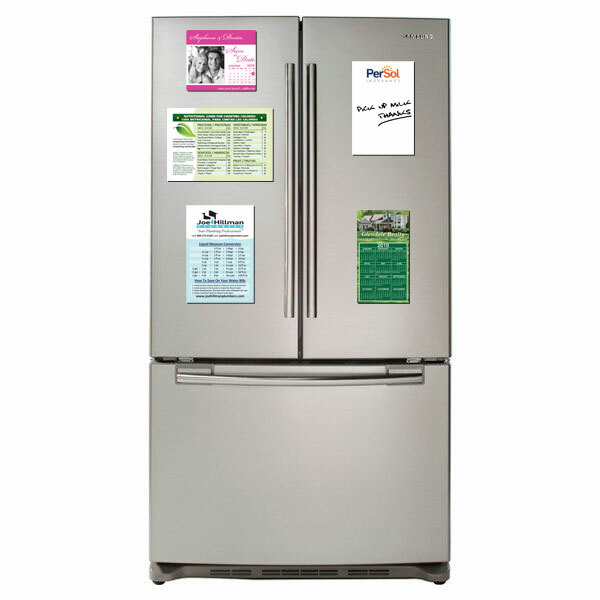 From fridge magnets displaying a calendar with your company name to car advertising magnets, you have endless possibilities of marketing your message to new and existing customers with low-cost custom business magnets. Have your business card stick around longer with magnetic business cards! You can turn your current business card design into a magnet or use one of our professionally designed templates. Business Card Magnet Calendar – is an item that usually are handed out of the end of the year for the upcoming new year. This tool provides a service to your customer, so it’s more than likely to stay around for atleast 1 year. With pricing as low as $0.10 per piece that is a ridiculously low price for the amount of time your company will be in your customer’s everyday vicinity. Magnetic Business Cards – were mainly used by pizza restaurants until UberEats gave businesses in the food industry an option to offer food delivery to their customers. Our customers have simply added the company telephone number and the UberEats logo to remind their customers how they can order food and have it delivered. Magnetic Pins or Buttons are an easy and cheap way to market a product, service or message. Ideally suited for company promotions, political campaign giveaways and even as memento. Souvenirs – Refrigerator magnets are very popular with tourists. This is why metal button magnets are typically marked up 500-700% in gift shops and souvenir stores found at most visited cities. By taking up small amount of floor space and storage space, it allows the store owner and/or investor to buy in bulk; driving price down and making this type of magnet a high-profit item. Promotional Tool – These metal laminated magnets are strong enough to hold various sheets of paper, giving the person who received the magnet a reason to keep it around rather than another type of promotional item. They can hang up shopping lists, children’s artwork or reminders. All while your message is in vision for years. Just because we offer cheap car magnets it doesn’t mean that so is the quality. Durable 30mil premium magnets with brilliant UV Gloss provides protection against the toughest weather. Personalized Car Magnets – have been around for decades, but thanks to the internet we’ve had an increase in production with a boost from work-at-home entrepreneurs and startups companies. These car door magnets are mobile, big and work 24/7. The rounded corners prevent cracking at the corners for longer use. With proper care vehicle magnetics can last for years. 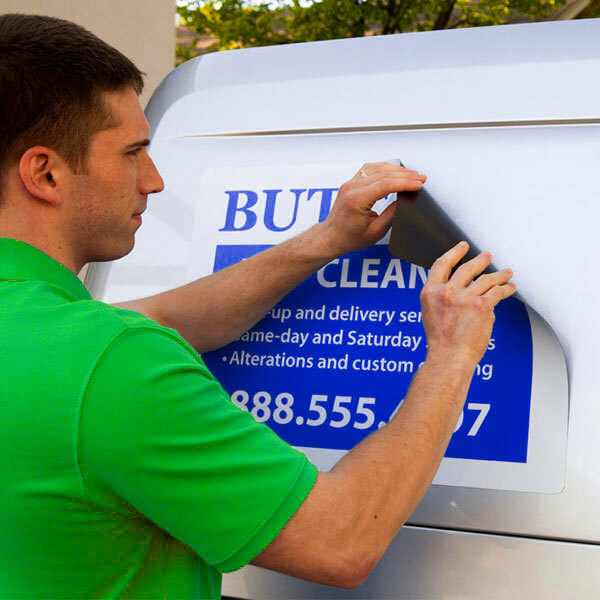 Magnetic Truck Signs – are typically used on large commercial vehicles for industries such as plumbing, roofing and hvac. Landscaping is another industry we see use a lot of truck magnetic signs. Having magnetic signs for vehicles parked outside a jobsite promotes the company to nearby neighbors (potential customers).